At work a few of my cast members and I got a change to preview and play around with some new products from Sephora and we all fell in love with the new products. Everyone was really loving the new blushes and where purchasing them but I fell in love with the new shades from the jumbo liners and I purchased 4 of the matte shades. Here is my first impression review on them! 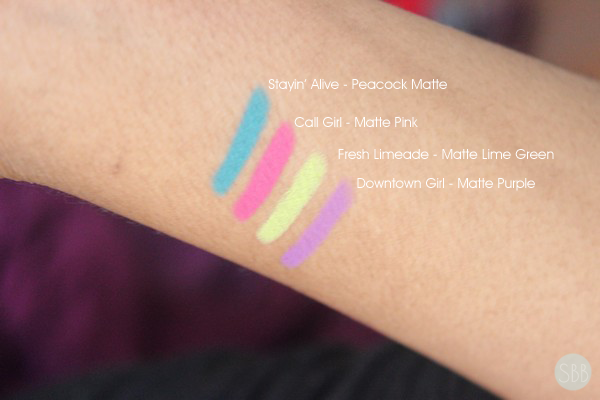 These are jumbo pencil liners that can be used as a liner or blended out and used as a shadow. These liners are waterproof, smudge-proof and resistant to humidity. These liners go on smooth, last all day long and come in matte, glitter and shimmer shades. The shades that I purchaes are as followed in the picture above. When we got to play around with the new products and try stuff on each other I got to try Downtown Girl as a lipstick I was getting compliments on my lips all day from clients asking me what I was wearing. 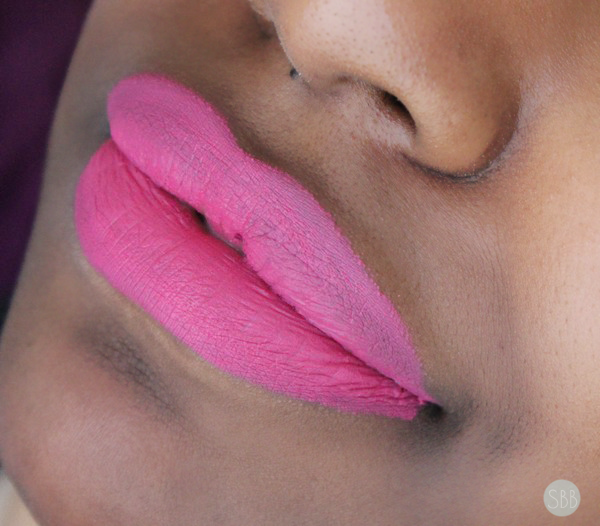 I also paired this as well with a lip gloss on top and this lasted all day for me I only had to touch up my lips once during the day and I only had to touch up the inner part of my lips. I was so shocked that this truly lasted all day long. I can't wait to use these more! 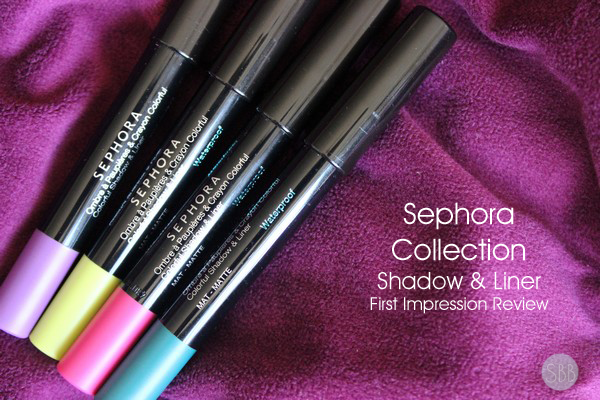 Have you tried any liners from Sephora Collection? ooo these look fun! The pink colour is my favourite! <3 They look super cute on you, perfect for spring / summer! 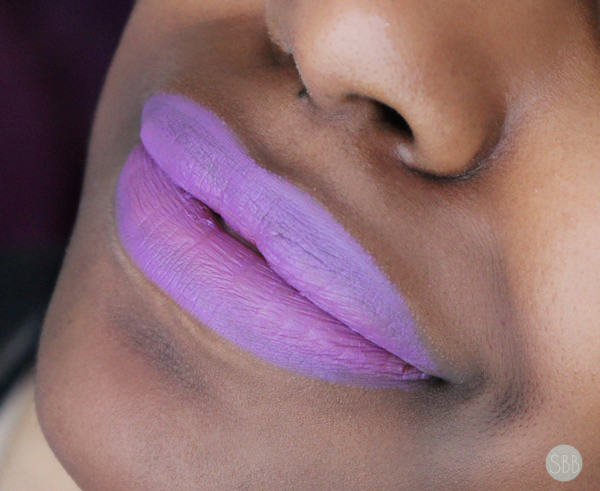 So smart to wear them on your lips, love the colorful shades!!! wow those are some bold colors!! !